Sapiens is the most important book you will read all year! Sapiens by Yuval Noah Harari is incredibly ambitious. It covers the history of humanity starting with modern cognition. 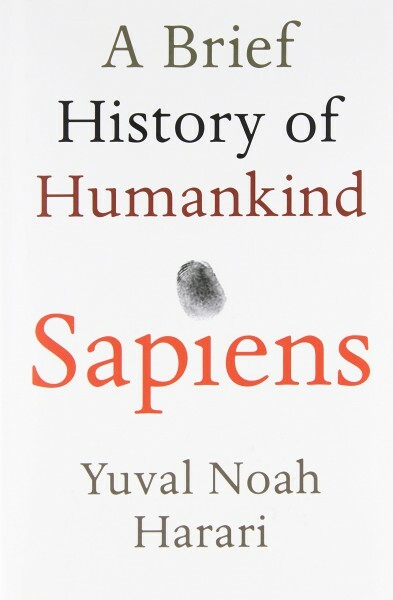 It covers everything from why Sapiens ended up on top relative to other hominids, to gender roles, the agricultural revolution, the history of currency, empire and capitalism. It analyses recent developments and speculates as to where we might be heading. It’s thought provoking, challenging, compelling and at times downright disturbing. It exposes the myths we created and accept without second thought and truly challenges our preconceptions about who we are. The book is a masterpiece. If you only read one book this year, this is the one to read.